If there’s one guest who is the most requested on the Model Health Show, it would be the lovely Anne Stevenson. Anne is my wife, my very best friend, and the Operations Manager for our business. Everything that I have accomplished would not be possible without her by my side. I’ve interviewed Anne here on the show before, so today we thought we’d try something a little different. On this episode, we’re turning the tables and Anne is interviewing me. I had no idea what to expect going into this interview, but Anne brought it big-time with her thought-provoking questions. (I think she might be the next Oprah). We’re covering my background, including my childhood and the important lessons I learned early in life. You’ll learn more about my experience recovering my health, and how it influenced my career. We’ll talk about relationships—from co-parenting, to working with your spouse on a daily basis. Additionally, we covered the topic of mindset, including developing a sense of calmness and confidence, and what it takes to find true fulfillment. We both put a lot of heart into this episode, we hope you find valuable insights to inspire you to transform your life. The culture I grew up in, and how it set the stage for later health problems. What being biracial taught me about acceptance. The first person in my life who instilled the importance of education. How to decide to stop being aggressive and self-centered. My greatest inspirations in life. The experience that sparked my thirst for knowledge (and passion to help others). The importance of honoring your standards. How to gracefully distance yourself from toxic relationships. The biggest lessons I’ve learned from co-parenting. My advice for couples who work together. Why changing your health actually means deciding to shift your identity. How to clean up your social media feeds, and set a standard in your home. The key to finding true fulfillment. 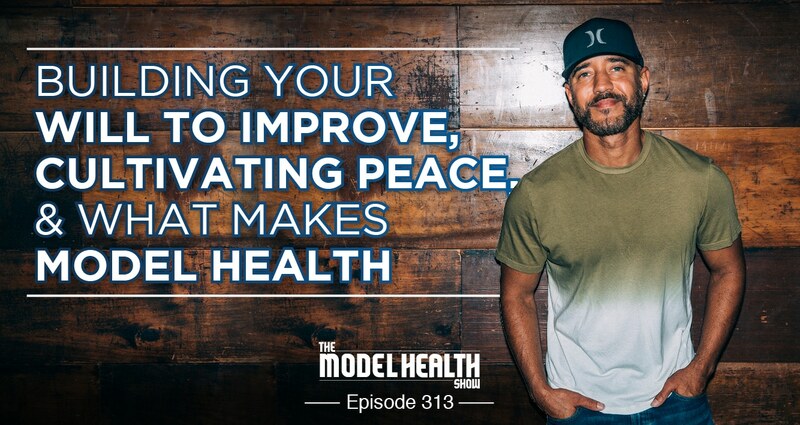 Two life-changing lessons I’ve learned from The Model Health Show. The link between kindness and authenticity. How to get others on board with your vision. The main piece of advice I would give my children about being successful in their lives. Ettitude.com/Model ⇐ Use the coupon code MODEL for 10% off your organic sheets! This is a very special episode, alright? The tables are getting turned, alright? I'm being interviewed today by somebody who knows me better than anybody already, but she's got some questions for me. I have no idea what she's going to ask me about, so I may be a little concerned, but I'm really very, very excited, and I think a lot of great nuggets of wisdom and insight are going to come from today. And it's none other than my wife, Anne Stevenson. She's highly requested to come on the show, and so getting her on here, and having the opportunity to do this, I think it's really, really great, and I'm very excited. So today I've been on the move, a lot of stuff going on, so I had myself one of my favorite smoothies. So the base- and I'll just tell you the ingredients. We've got chia seeds, alright? The omega-3's, alright? Soaked chia seeds creates like a little pudding, and then I've got ice, I've got unsweetened almond milk, got some protein powder, a little peanut butter because peanut butter is peanut butter. Alright? But my very special ingredient, what I really wanted to deliver into my body, is the gold from Organifi. Check this out, and this is based on turmeric, it's their gold formula. With turmeric, this was published in 'Life Enhancements,' scientists found out that a compound, which is a high concentration in turmeric called curcumin, protected mice who were subject to seventy-two hours of sleep deprivation. Protected them against impaired locomotor activity, memory dysfunction, weight dysfunction, and depression. It has this incredibly powerful protective factor over the nervous system and endocrine system, and this is something that's been utilized for literally thousands of years, and it's the main component of this formula, the Organifi Gold. And here's the thing, it tastes amazing. It tastes so good. So the group that received the curcumin treatment before the sleep deprivation showed significant decrease in anxiety-like behavior and oxidative stress caused by lack of sleep. This is one of the big issues that happens when we're sleep deprived, is this increase in our oxidative stress. And so basically it's aging us. If you want to get older faster, not like if you're fifteen trying to get your license, I'm not talking about that, I'm talking about when you're like older and you want to slow down the aging process. We need to do things to protect ourselves against excessive oxidative stress. We do need some, it helps us to grow and develop, but we get into this state of chronic inflammation. Turmeric is one of the very best things, and we get it in a formula combined with other things that makes it work even better, that's what it's all about with Organifi Gold. Pop over, check them out. It's www.Organifi.com/model. That's www.Organifi.com/model, you get 20% off. 20% off all of their incredible formulas; the green juice, the red juice, and the gold. I've got to add this in here too. This formula is really great for winding down, for relaxing, and here's why. It also has rishi in the formula. So rishi, if you check out this study, this was 'Pharmacology, Biochemistry, and Behavior,' found that rishi was able to significantly decrease sleep latency, so that means you fall asleep faster, increase overall sleep time, and increase non-REM deep sleep time, and REM sleep. Alright, so it's literally improving your overall sleep quality. 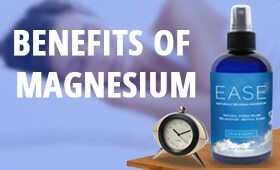 There's also magnesium in this formula, so this is related- magnesium is responsible for over 325 biochemical processes in your body. Alright? That means there's 325 things your body cannot do or do properly without magnesium being present. This is how important it is. And guess what? It's the number one mineral deficiency in our culture. Alright? So we're literally walking around operating at far lower levels than what's possible for us simply because of this deficiency, alright? It's in the formula. Many of those processes, by the way, have to do with homeostasis and relaxation and calming down the system- the nervous system specifically. Alright? It's a big component of muscle tension and of course with sleep, alright? So definitely check it out, www.Organifi.com/model for 20% off. And now let's get to the Apple Podcasts review of the week. ITunes Review: Another five-star review titled, 'My Commute = Learning = Me Time,' by KenGia5. "I look forward to commuting back and forth to work because I get quality time with Shawn and all his inspiring information, love, encouragement, and guest speakers. Sometimes I just have to write info, links, and quotes down, which means I park on the side of the road. A girl's got to do what a girl's got to do. Now to get my husband hooked with me." Shawn Stevenson: Thank you so much for leaving that review, I appreciate it very, very much. And everybody, if you've yet to do so, please pop over, leave a review for the show. What are you waiting for, alright? Do it. Alright? Do it, do it. 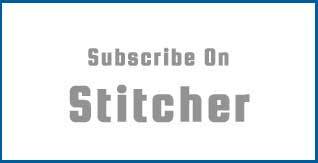 And by the way, if you're listening on a different platform than Apple Podcasts - Stitcher, Spotify, SoundCloud - whatever medium you're listening on, please leave a review. Leave a comment, drop a comment if you're watching on YouTube, if you're hanging out in the studio with us, alright? I appreciate that very, very much. And now let's get to our special guest and topic of the day. My guest today is my very best friend in the world, my wife, Anne Stevenson. She's actually the Operations Manager for our company, and starting many years ago when I was doing clinical work as a nutritionist, and her managing all of the behind-the-scenes stuff, and really being there to work together side by side in building this huge platform that we have today. She was there with me teaching all these classes- these pop-up classes we were doing a decade plus ago, and all the people that we've impacted, and it wouldn't be possible without her. You know, she's intricate in helping to create 'Sleep Smarter,' and she's just amazing. She's somebody who always finds the answer. She always finds the solution. If something is going on with some tech stuff, she's like, "It's the Internet. There's a way." And to have somebody like that by your side, it's just priceless. She's also my very best friend. I've shared so much with her, more than any other person walking around on the planet, so much time, and we've raised a family together, you know? We have an amazing family that again, it just wouldn't be possible without her. She's my best friend, she is an incredible mom, an incredible wife, and I'd like to welcome to The Model Health Show, my wife, Anne Stevenson. What's going on, Baby? Shawn Stevenson: How are you? Shawn Stevenson: You look good. You're looking healthy. I see you. So this is probably a little awkward, we're going to switch roles here, and you've got some questions for me. But first of all, you've had kind of an intense couple of weeks, right? So what's been going on? Anne Stevenson: I mean, the universe saw fit that everybody in my life is a Virgo / Leo in the house, and so it's just been birthday after birthday, and so I think I've had four birthdays in two weeks? Shawn Stevenson: Yeah, less than two weeks. Anne Stevenson: Yeah, in less than two weeks. Shawn Stevenson: It included me, our son's, Cynthia's. Shawn Stevenson: ET's birthday was in there. Anne Stevenson: Oh my goodness. Shawn Stevenson: So many people's birthday. But I was doing the math, and I was like, "Nine months backwards, so that's right around the holiday season. A lot of people were doing it." Right? You know? Merry Christmas, right? Or Happy New Year, boom, baby's here. Shawn Stevenson: But you're welcome. Anne Stevenson: Yeah, but I love it. I feel every year it's a challenge, but I love the challenge, the call for greatness. No, I'm just kidding. It's amazing to celebrate everybody's birthday together, and trying to make sure everybody feels warm and lovely, and it's really a great time, and then we're done- and we just get it all done. Shawn Stevenson: Right. Here's the thing, your birthday is January 1st, first of all. Anne Stevenson: I mean you're getting cheated. You're getting cheated too. Shawn Stevenson: So nobody wins, but it's all good. It's all good. So you've got some questions for me, and I don't know exactly what you're going to ask me, so I'm a little bit- I'm not nervous, I'm a little concerned. Anne Stevenson: No, you shouldn't be concerned. And first of all, I do want to shout out- because it was hard initially, because I felt that I know you, and like- I don't even know what I'm going to ask you. But then I got the help from- I just kind of put the word out there with our close family members, and just people who I know who are interested to know more about you, and who know you already, so it got my mind going. And also I want to shout out FLC. Our FLC fam, they really had some amazing questions in there. If you don't know, that's our Fat Loss Code membership group, and I put up that question, and I had some amazing response. Anne Stevenson: So hopefully they'll make it in there. Shawn Stevenson: It's our inner circle, you can holla at us there. Join up. Anne Stevenson: It's our inner circle. They are just amazing. Shawn Stevenson: Yeah, I'm excited. Anne Stevenson: And hopefully all of them make them in here, because it's a lot. And it just got my mind thinking, and I realized with some things that I do take for granted knowing you, and some things that I've never even really thought of asking you, so I think this would be great that I'm also going to be learning about you today too. Shawn Stevenson: Alright, let's do this. Anne Stevenson: So just I want to start with The Model Health Show format, which is always talking about your superhero origin story. Anne Stevenson: I already know you're a superhero, most of the people who listen to this show know that too, but I want to go a little bit deeper. I know in a lot of different episodes, you do talk about like little snippets of your life, but I also want to get to the challenges. If it's like your parents, or lack thereof. I want to get to just some of the challenges and tribulations that have made you who you are today. Shawn Stevenson: That's a big question right there. Shawn Stevenson: That's a big question. So wow, yeah my upbringing, kind of where I came from, I'm very grateful for it now, but at the time I struggled with a lot of it. You know, initially living with my grandmother the first part of my life until after second grade, so I was like six or seven. Because of my birthday, I was always the youngest kid in the class. But it was just really- every time I think of it, I feel so much wholesomeness, and a sense of value. Like I immediately feel so valuable because she made a big deal out of me. You know, she really made me feel special. Holidays were- you know, since we were talking about holidays, she really made it an adventure. She made it like a kid's dream, you know? And she also instilled in me the importance of education. I remember very clearly the very first time when I was learning how to write, and she had gotten me this little Garfield notebook, and I was like doing my letters or whatever, and I just like- I liked to write. I immediately felt it. And cut to after all the drama in my life, writing an international bestselling book was crazy. But she instilled that in me, and there was a sense of accountability with me doing my homework, and getting good grades. But she didn't like- she wasn't like nagging me or anything, it's just kind of like the culture, you know? And also my cousins were over a lot, my cousin Candy specifically, she was like my best friend. And after school- she was one grade lower than me, so once she started going to kindergarten, I was in first grade. I would save up a little bit of my lunch, I wouldn't eat it all so we could have a picnic on the way home, and we would like camp out behind these little bushes or whatever, and just have a picnic and talk about stuff. You know? And you know, life was pretty sweet, but also in this is where the template for my poor health took place. My grandfather was- he hunted, he foraged, and my grandmother had a garden. I would barely touch any of that stuff, right? I was really- because she loved me so much- and a lot of parents are just like, "I just want him to eat something." And we've done that too, you know? With Braden, but we were doing real food, you know? But I got really attracted to fish sticks, you know? I was all about that minced up fish and ketchup, you know? Anne Stevenson: With cheese on it. Anne Stevenson: Those beans, you've got to talk about those beans. Anne Stevenson: Remember? You thought they only came in a can. Shawn Stevenson: Yeah, I thought they came in a can, like I didn't even know where they came from. Anne Stevenson: Until you met me, you didn't know. Shawn Stevenson: Yeah, like I never thought about it. I was just like, "Beans are in a can," you know? And so having that template, you know, it was out of love. She wanted me to eat, she wanted me to be happy. I had my own little special table, my little red chairs, and my grandfather would be in the kitchen probably just like, "This little-"
Shawn Stevenson: You know? And again, life was pretty sweet. Then shift gears- and this is really important I guess in my story, you know, being bi-racial, and my grandmother was white, and so just imagining the time that she was in, because this was like early eighties and it just wasn't cool yet. And I remember people- I remember being at Venture, which is like K-Mart. Shout-out to Venture, whoever went to Venture. It's been gone for a minute. And like somebody said something to her about me, and I was like maybe four, but I knew that it wasn't right, but I didn't know exactly what was going on. You know? And also going to a predominantly white school at the time, being in the kind of suburban neighborhood we were in, I didn't know that I was different, but the environment kind of let me know at some point. And I shared on the show before, but one day I was walking home from school, and some kids were behind me and they were like calling me names, and we got in front of my house, and my grandfather- they were like saying that I was cussing. I was like, "No, they were saying this stuff," but he believed them. And he's the best- like he's the model of a man in my life, you know? But for whatever reason, he made the wrong choice in not believing and trusting me, and he made me get a switch off the tree, and he whooped me. And I just really felt alone, I felt very isolated, and all of that said, I would go on the weekends to my mom's house. Because people are like, "Why weren't you with your mom?" My mom, she was very young when she had me, and she just wasn't very stable, you know? She wanted to give me opportunity, I'm sure, but I would go and stay with her on the weekends, but it was a very volatile, violent, aggressive atmosphere in the first place. And my earliest memories, we lived in this four-family flat, and I would sleep on the floor. My little brother was born at this time, he was a little baby, we'd play and hang out. But you know, there's like mousetraps everywhere, there's mice running around, there's roaches, you know? And but still, it was just still like the sense of the world is possible still, you know? Shawn Stevenson: But I would be very glad to get back to my grandmother's house, you know? It was much more of a sense of certainty, and you know, being in second grade, this was the first time I could recollect just this volatile environment being over with my mother. And I'm sorry, this wasn't second grade, this was- I was in preschool. And the kid next door, he was in first grade, and I still- you've seen the scar on the back of my head, you know this. Shawn Stevenson: But we kept getting into little scuffles, you know, just kids. We're literally- I'm like four years old, you know? And he's like six- five or six years old. And ultimately the parents decided - my mother and this kid's mother - to have us fight. You know? They're sitting out on the stoop of this apartment complex, and this was a different apartment. We moved literally like fifteen times as well, you know? Couldn't keep a place. And they had us fight like dogs. Like you know, like it was crazy, you know? And this kid was bigger than me, you know? And we were just getting into like kid scuffles, not meant to fight each other. I remember feeling like, "Why am I in this? Why did she put me here? I don't want to do this." And he pushed me against the corner of this brick wall and busted my head wide open. And you know, I was rushed into the hospital, they had to put me to sleep because I was flipping out. But I still had- that's where this aggression came from. Like the seed of this aggression came from that moment because I remember- I can still hear my little voice saying, "I'm going to get him. I'm going to get Alfonso." You know? And sure enough, the next day or two when I was out of the hospital, he was in the backyard like digging a hole or some random thing kids do, and I just walked over and I hit him with this Tonka truck, and just like really cleaned his clock. And at the time I felt like, "Yeah," but looking back on it, I was so lost. I didn't- I was put in a situation that a child should not be in, and I was led to believe because of the conditioning of my stepfather, like you need to be tough, and that means hurting other people. And so all of that template, moving in full-time with my mother, my eating habits continued, but now we've got food stamps. You know, I'd get that book- get that book of food stamps, and I'd go to the store, get my candy. There was a sense of normalcy with my grandmother a little bit, you know, with her cooking, but now it's just like a lot less cooking. And my mom can cook really great, but you know, it was a little bit more rare, and my poor eating habits just continued. But in my family- which it's so cool for you to ask me these questions because I was the 'skinny kid' in my family. I have a different father so I guess it's from those genetics, but my fat gene ultimately got turned on at a point. By the way, it's the FTO gene, for all of The Model Health Show listeners. And we all really do have various fat genes, you know? But it just took a long time of being docile, and of eating these poor foods once I lost my health ultimately at the age of twenty, that I gained all this weight. And so just to kind of wrap up this little bit of the origin story, once I moved into this totally different environment, it was like a culture shock because now I'm going to a predominantly black school, and I'm different again, and I go through all of those trials and tribulations. Then in sixth grade I'm going to a predominantly white school again. We're in this DSECT program, and I'm bussed out an hour each day - an hour there, an hour back - to go to these schools. And I'm in culture shock again. I just never really got a chance to fit in, and I felt that, you know? I just really wanted to fit in. I wanted to fit in, but ultimately I'm so grateful because this taught me acceptance. I always had an eye out for people who were getting bullied, you know what I'm saying? I was a little bit tougher, so defending people. And I wasn't perfect, you know? I bullied my little brother, you know? And it was just the way that I was taught. And I love him so much. People ask me if there's anything I could do, if I could go back and change anything. I wouldn't change my story at all. If there was one thing, it would be to be a better big brother for my little brother and little sister. Alright. Anne Stevenson: No, I didn't know we were going to go there. I really didn't, and I know how that's that one thing, and the good thing though is like they're here still, you're here still, and I know that they've seen so much tremendous growth from you, and they're so proud of you. There's still so much more room to be better, and you guys- I mean like we went from- and we'll get back to that later. I mean, we went from not even having that connection to now. I mean your brother comes to every game, you know? Jordan's games and stuff. So yeah. Shawn Stevenson: I mean just to again put a bow on the story, this origin story, all of these conditions and looking back on it helped to make me who I am. And so I want everybody to really honor their story. A lot of times I was embarrassed, you know? I was embarrassed of my mom, I was embarrassed of being different. Like when I was at the city school, I was embarrassed that she was my mom because it's like it didn't fit in, you know? But if we can embrace those things and begin to share, because I promise there are people who have a very similar story who feel that same sense of disconnection, and not enough, and being ashamed. And that's such a negative energy. It really does bring you down. And I'm so grateful for all this stuff because it really led me to do a 180 in my life. I was so self-centered because my conditions- I just felt like I had to defend myself all the time. I had to be on guard and be ready. Anne Stevenson: I mean, I think even when I met you, you still- you were so defensive. Like you were so quick to- from judging to being mad to everything. You were just always- you stayed ready, but in the wrong sense of just waiting for something to be wrong so you can complain about it. Which is so weird, and that's what I hope we will be able to dive into, is just that even though you had that, you still also had that other piece, which I think now this is just coming together of like from Mee-Maw to your mom, those two environments. Because you still also had that sense of like small hints of like sweetness, and the best way I can say it because it's from my perspective, of like the romantic feeling of like possibility. And it was small, it wasn't as much as just like, "We'll see what's going on, and I'm ready to react and go off on you," which it's literally when people say, you know, you've changed. Anne Stevenson: You have no idea. You have no idea. Shawn Stevenson: But ultimately it's just like when these things- when these character traits, which we consider to be negative character traits, it just gets to a place where you ask, "Is this serving me?" You know? "My anger, my aggression, is it serving me? Am I utilizing this the right way?" You know, I still get angry from time to time, but not- it's a different flavor of it, you know? And it's much more I'm aware. It doesn't overtake me, you know? I used to be so impatient, and you knew this, and now like I've- like I have 100x more patience. Sometimes I think I'm a little more patient than you, but we're not going to compete. You know? But just understanding that if I'm going to help people- because my life went from being so self-centered to being- I went to the other extreme, which you know, of just caring about other people. And I would take care of myself a little bit, but I mean, I was so focused and I would lose sleep worrying about others and how can I help people? And fortunately I found a happy medium, you know, but I think it's such an incredible, incredible gift to be in those conditions because it forced me to make a decision, "Am I going to be this scared self-centered aggressive person? Or am I going to be the complete opposite and be of service, and be a person who brings value, and light, and love into other people's lives?" Anne Stevenson: Amazing. Awesome. I can do this all the time, by the way, just call me back. I'm just kidding. No, that was really great. So I want to move back- I want to now move in more to the current Shawn, the 2018 Shawn, and I want to talk about like what inspires you lately? What are you excited about? What's that fire going? Shawn Stevenson: What inspires me right off the bat is my kids, you know? And seeing them every day, seeing them grow. And you, you inspire me so much, and seeing your growth, and how you hold me accountable, and just how you're down. Like you're down for the team, you know? But I knew that I had to grow to get you to a place. Anne Stevenson: I am down. Shawn Stevenson: To get you to a place- we might have to come back to that, but to get you to a place where you feel empowered, and it's not like I'm forcing you to support my vision, and me taking care of your certainty needs, and also making sure that you are in a place where you can do things that keep you elevated as well. So that inspires me. What I'm really most excited about is definitely what's going on with ITN, and this Institute of Transformational Nutrition, and the work we're doing with Cynthia. And it's so exciting because - you know this - every year when we do goals, for years just like, "We've got to create a certification program." Shawn Stevenson: Because nothing really met my standards as far as the nutrition training, and also the business side, and seeing all of these people, even folks that were coming to my office for sessions with me who are health coaches dealing with their various issues, and seeing them struggling with their finances. And knowing that they really want to help people, and something happened in their lives that sparked that, very similar to mine a lot of times. And but not being able to sustain their livelihood, and I just can't stand it, man. I can't stand how people cut corners, and try to use people, lower their standards on who they would work with. Shawn Stevenson: You know? And I- because I've done it in the sake of like, "I need to get some bills paid, but I also want to help people." You know? When it really should be something that's given to us in an education, especially if it's as high level of being of service like we are. So that's what I'm really excited about, and by the way, we'll just throw it out there, www.TransformationalNutrition.com/model. Shawn Stevenson: And people can take the assessment and possibly become a health coach and be able to work with people. Anne Stevenson: That's amazing. Which actually this is going to lead into what I was thinking about, which is investing in yourself. And over the years, just you know, before all of this, and just when you were still finding yourself, the 5.0 Shawn that you are now, but back then where you would- I would wake up in the morning and he would have been up for hours like studying nutrition. Like I don't even know. For hours, and you would just sit there in front of the computer, and you were studying, and you had all these notes written. I mean, I remember when we moved, we had like boxes of them, of all these notes that you've written, and just like diving into this passion. And I didn't know why- or in my head, I'm like, "Why?" Like you were not- you were out of school already, and you were just so digging deep into that. So when we talk about investing in yourself, and being better and stuff, and that self-care, what would you say would be important as far as like why is that important? And how did you even get there? Like was it like a light bulb went off one day that's like, "From today, I'm going to wake up, and I'm going to do this. I'm not getting paid, I don't even have clients, I'm just going to sit here and just learn about all these random health facts all day every day." Like where did that come from? Shawn Stevenson: The initial seed for that was definitely recovering my health, you know? And I started at the beginning with my grandmother, and instilling that seed of poor nutrition and poor health practices, and ultimately that culminated in my health breaking down, and being diagnosed with this incurable spinal condition when I was just twenty years old. And I've really been thinking a lot about this lately, and how a physician / man - grow man told me that I had the spine of an eighty-year-old person, and there's nothing I could do about it. Who does that? You know? It was so bleak, and sent me on my way. But having that, and coming a complete 180 in my life, and being able to really take control of my health, and to have the audacity to really focus on wellness, and seeing myself get better, and seeing that that condition no longer being a part of my life. And like I got a scan done on my spine, when was it, maybe two months ago now? Shawn Stevenson: And my disc was just- like you could see the light through it. They're supple, juicy, you know? And that's not supposed to be possible in that paradigm. Shawn Stevenson: So once I had that take place, where I went from so-called incurable or impossible to radiant health, I wanted other people to experience the same thing, and I needed to learn what was actually going on, and also I needed to learn how to communicate it to people. And that just kind of set the template. That was the process starting to unfold, and there were pieces that came up gradually along the way. What I knew first was fitness, and so when you met me, I was really studying fitness, and doing all these different workouts, and you know, you even got me one of my first fitness books. Shawn Stevenson: Yeah, it was the Gunner Peterson. Anne Stevenson: Oh yeah, yeah I did. Shawn Stevenson: And so utilizing these different tactics, but ultimately I saw that my gift was in teaching people about nutrition. Like I would see that when I was working with clients in the gym like, "Whoa, this is really the big thing." And then as more people with chronic health issues started to show up, you know like Kathy was the very first person with the fibroid tumors, and working with her to reverse the issue completely where she didn't have to have the- her uterus was going to be taken out. Anne Stevenson: Yeah, that was huge. Anne Stevenson: That changed my life, too. Shawn Stevenson: Yeah. And it just really opened me up, and I became obsessed for sure, to find out what the root cause is for these various conditions, and what we can do to help people. Because usually it's not the health thing. It's not like having them do these five steps. It's getting them mentally to the place where they will actually do the five steps. You know? And so that's why that study was such a big thing for me. I wanted to become 'it.' I wanted to be so that it's every cell in my body has that data filed away and ready, and all I needed was the opportunity. Anne Stevenson: That fire and drive is insane. Like that passion to learn that you have is- like it boggles my mind, because you know, a lot of people, it's like especially when you reach a certain level you feel like, "Okay, I'm cool." Shawn Stevenson: "I made it." Anne Stevenson: "I'm done, I made it. Everything's just normal." And you being so uncomfortable with being comfortable is- like I'm the opposite. So it's always hard for me to understand that, but I admire that a lot about you for sure. Anne Stevenson: And so another thing I do want to talk about with the self-care, which obviously you being huge on, but then sometimes being an entrepreneur, dad, all these things, and you go 100 just all the time traveling, and everything that you're doing, sometimes that can- it can kind of slow down. So what have you learned, especially the last few months, with you know, what you- things you want to do and get better on, or how do you want to just with your self-care, what's next with that? Shawn Stevenson: Yeah, it's a great question because the past two weeks up until maybe a day or two ago was definitely like the busiest two weeks in my recollection of my life. Shawn Stevenson: And stuff with the kids, and photoshoots, it was a lot. You know? And this is the thing, I used to think I was busy, you know? Back in the day when we lived at the old house, and you're talking about me studying, but I had all this time. I was studying, I was busy, but it wasn't like all of these scheduled things that involve so many other people, a sense of immediacy. You know? And I'm very good about saying no. We did a show on this too, and we'll put that in the show notes with James Altucher, we talked about the power of no. And with Michael Hyatt, as well. And so- and I'm in a place where I get to choose now, because I've worked to the point where- and it's just that saying, "Work until you don't have to introduce yourself." You know? So a lot of situations are presented to me now, and I get to do the things that really feel good in my soul, and if it's not an absolute yes, a lot of times I can just easily say no. But with that said, still my mission is very big. There are a lot of things I want to accomplish. So I'm going to be on the move, I'm going to be crushing it, and with that said, the most important thing is when things are going on, you've got a lot going on, it's just to have some sense of normalcy. So my morning routine staying pretty consistent where I get up and am drinking water, using the bathroom, reading and/or meditation. Because I want to do both of those things, but I've lightened up a little bit so that one might not come into play. Like if I get the reading done, I really get into a flow with the reading, I just let that be my meditation. You know? If that makes sense. Or if I just feel really compelled, like if I need to meditate and not read today, so I might take a couple things off my morning routine, but I still have a routine if that makes sense. So that's really important, and for people with that, to just also lighten up a little bit. And that's sometimes easier said than done for real, because there are so many things we can nitpick, and point fingers at, but if we could just bring a sense of like, "You know what? Everything is okay." I know a lot of stuff- lots is going on, if you could just remember and just bring yourself back to the present, just be like, "Man, you know what? Everything is okay. Everything is okay. I don't have to do everything." You know, I missed several workouts, which I really don't do, over these last two weeks, and- but I was like, "You know what? Let me make this my workout. It's a mental workout." You know? And then the times when I am working out, I'm like, "Let me be efficient. I don't need to beat myself to the ground. Let me do something that makes me feel good." You know? And just changing my perspective slightly about things. So I think that's a big thing as people evolve with their health journey is learning to be flexible. I don't think it could be overstated enough, in having that audacity to just lighten up, be flexible, roll with the punches, but still make progress. Anne Stevenson: I know that- honestly, I know that's one thing you've mentioned time and time again on this show, when we talk about like longevity, health, wealth; everything always has connection to relationships. So one of the things I- one of the questions that I got, and I was just like, "God, this is it," and I would love- and I don't think we really, even when I was going through my situations, I didn't really ask you, I just was going through the trenches with it. You did an episode talking about recognizing relationships that you need to move on. Anne Stevenson: We'll put that in the show notes. And in that episode, which I felt like you were just speaking to me, but I'm pretty sure you were speaking to a lot of people, on recognizing how the relationships that you've outgrown. But what about relationships- and this is the thing. We all know- I mean we see Instagram posts all day long, you know? You are the five people you hang around with. If you're wanting to be better- we all know this to be true. And even you've done an episode about it, but how do we do this? Like because okay, we know they're toxic, and sometimes they're not even toxic, and even it gets even more difficult when these are family members who are close to us, who are- I mean we love them dearly, but either they're not even toxic, but they don't want to change, and they are limiting us, and we need to be around people who are doing better. And so how do- how did you deal with this? And I know you have, but I want you to talk about that. Shawn Stevenson: Well first of all, when people show you who they are, believe them. When they show you who they are, believe them. And we tend to have very romantic ideas about our relationships. Like you know, "This person is going to change. If they just meet this, or this thing happens," or whatever, some future thing instead of just acknowledging, "This is who this person is right now." And if this isn't a part of your story, and your mission, and the direction you want to go, we have to- it's really selfish the reason we don't let go of folks. Even though we're saying we want to get better, we want to have better relationships, it's selfish that we're doing that because we're oftentimes in fear of leveling up ourselves. You know? We'll point the finger at the person, but at the same time, what are you doing about it? Because you're really not about that life, you know? At the end of the day, that's what it really is. And so we also have to understand, you know, your family is not your only family. We truly are at most like tenth cousins, you know what I'm saying? Like we're humans, and we are sharing the same basic 30,000- 25,000 or 30,000 different genes. We're not that different, we're not that far apart. And there is a bigger family that's available for you, you know? And so we get caught up in this idea, "The family structure. I need to make sure that I basically run myself to the ground trying to prove that I'm a good son, even though my mother isn't really trying to have anything to do with me." Or, "Even though my mother is constantly judging me and tearing me down," or maybe she's abusive, whatever it is, you know? Anne Stevenson: So but what are you saying though? I mean, so I should tell my- like you know, have this conversation with my mom like, "Hey you know, I can't just be around you no more." You know? Like do we actually have the conversations? Shawn Stevenson: That's a good question. Anne Stevenson: Do we just kind of distance ourselves, kind of hoping they get the clue? Shawn Stevenson: This is all- this is just like with diet and nutrition. It's all situation-dependent, and it's person-dependent. Shawn Stevenson: Sometimes you can literally just distance yourselves, you know? You don't have to return the calls, or maybe you already aren't even really calling that much. But maybe, you know, you was doing the random check-in or whatever. You know, like you don't have to do that stuff. For me, I'm more of a person of the conversation, or confrontation, you know? Shawn Stevenson: But in a way of love, you know? For me. Because at the end of the day, we have to have standards, and I think it's most important to let the person know that you do love them, and you do care about them, but you just cannot continue to subject yourself to the drama, especially if you have other people depending on you. You know? So for me, my highest priority are my two boys who are under my roof, and if I'm bringing people into their lives consciously who I know will hurt them, come on now. There's no way. There's no way. And I do also- we need to be clear, too. Sometimes we're pointing the finger when it's really us who might be toxic. Shawn Stevenson: So we need to make sure that we are doing the work and actually showing up in that relationship as our better self to make sure that it's not us. You know? Have you done what you need to do? And if you truly do want to be in a relationship with this person, have you done your part as well, you know? And so oftentimes- but that does not mean that you need to break yourself down to the ground in order to prove. Shawn Stevenson: But just being aware. Asking yourself, "Have I actually been the person who I think I've been in this relationship?" And if you have, and they are still hurting you, or bringing you down, or bringing you negative energy, constantly gossiping, constantly pointing the finger about other people hurting them, complaining or whatever, honor your standards, have the audacity to say, "Enough is enough," and let them be who they are. And here's the greatest gift; by you doing that, you are giving them the opportunity to realize like, "Okay, I have a loss of life now. I lost this person in my life because of the person I am." They might still be pointing the fingers at you, but at some point they're going to- because all of us, as we evolve, they want to get better. The finger is ultimately going to get pointed back at you. And by the way, you know that saying of like, 'When you point the finger, three more point back at you'? Anne Stevenson: Yeah, didn't I say that to you the other day? Shawn Stevenson: I didn't even know what that meant. I'm like, "What's the three fingers?" Anne Stevenson: I think Mom was the one who told me that. Shawn Stevenson: And so people who don't know this one, we're talking about physiologically your structure anatomy, when you point your pointer finger out, your ring finger, your middle finger, your pinky finger are pointed back at you. It's so corny, but it's true. Shawn Stevenson: You know? But ultimately, they're going to have to face the mirror, and realize, "There are things that I need to do to grow and elevate myself as well, and be the example," you know? I go and prepare a place for you. My Father's house has many mansions, I go and prepare a place for you. Be the example, keep rising, keep elevating so you can reach a hand back when somebody is truly showing you that they want to rise up and be a part of your life, you know? Shawn Stevenson: For me, my door is always open, you know? Outside of like some absolute atrocity taking place, but I believe in people, you know? I believe in people, but I will acknowledge the facts and reality of when you show me who you are, I'm going to believe it. Anne Stevenson: Yeah, true. And I have to add, and this is kind of based on seeing your life with the different- with the relationships. Even they might have completely disconnected, but they come back full circle, coming back and people coming back to you who- actually they just kind of went on their own, and telling you like, "Hey, thank you because this did such-and-such to me." I think that speaks to what you did- it wasn't like cutting somebody off and moving on and still thinking about them like, "Yeah, they are so negative." You always send so much more love to them, and the good that you're putting out there, not wishing anything bad for them, and just like hoping for the best every time. And it would come full circle back and just say, "Oh you weren't so bad, you were just ahead of your time, and I didn't know what you were doing, but now I see," so I've seen that in your life a lot, too. Shawn Stevenson: It's true, you've been there. Anne Stevenson: Yeah. So in relationships, we're going to keep on moving a little bit with the relationships, is when we talk about parenting, and everybody who's listened to the show knows about how important family is to you, and parenting as well. Can you talk a little bit about co-parenting, some of the lessons that you've learned along the way? And any advice that you might have for other parents who have experienced the co-parenting world? Because it can be very shifty and crazy. Shawn Stevenson: Yeah. Yeah, wow, I've never talked about this on the show before. But you know, by the time I was twenty, I had two kids. You know? And this is kind of what was in a strange way expected of me, and it was because of the environment that I was in, you know? It was just a replay; my grandmother, my mother having children young, and I had all this attention as well. But there's no- I didn't have any business. I was not stable as a human being, and having this kind of duality in this relationship, I had a little girl and my son, Jordan, and ultimately this co-parenting really came as a result - and the great relationship we have now - of me deciding to get better as a person. Because initially, especially if people are not together, and you've got two different households trying to raise the same child, and not being on the same page, like ultimately you have to be a united front for that child, or mayhem can ensue with just pointing fingers and the child manipulating. Because the kid just wants to be free and do what they want, just like any human would want to do, you know? So you have to be a united front. And because I was such a- just self-centered and hurt person, and my aggressive attitude back then, and just not really wanting to deal with drama so I would just not be a part of it. But I was the drama, you know? In a way. And so you know, like my son Jordan, his mother, she thought I was still that person even after I changed so much. And this was like five or six years later, you know, when Jordan was like six, seven, eight years old. And she was still coming at me like with the craziness, you know? And it was just out of like she thought she knew who I was, and she had all the right to. But what I did, and what I would encourage other people to do, is to be honest with themselves and ask, "Are you being the type of person that can heal a relationship?" You know? Because this was something bigger. This wasn't just like, "Peace out, I'm not going to talk to you anymore." This is my son's mother, you know? And so even when she would have those negative dispositions towards me in whatever small conflict, I had to stay calm and come back to her with love and gratitude because I know what it's taken for her to be a mom under those conditions. And even though she's in a new relationship, still having that hole in her heart, you know? And so I really had to create a space for her to be upset, and to know that I still care about her, and I still love her, and I still respect her. And so it took several times, and it was not easy, and it's very difficult when you think, "Oh, they're disrespecting me." You can't do that. And putting your ego in check, and just understanding where that person is coming from, and try to find a bridge, and a place for us to connect. And so now today we have the best relationship, you know? It's a united front, and you know, so our co-parenting is pretty simple. Like we agree on everything, you know what I'm saying? Shawn Stevenson: If it's about the betterment of the child, you know, we come together. We do talk about various things, and just make sure that we're in agreement. Anne Stevenson: Yeah, and yeah a shout-out to Asia because she's- it was looking a little crazy there at the beginning, but I think both of you guys, putting your egos aside, and seeing Jordan's needs and his well-being first, was like the best thing that both of you guys have ever done. Shawn Stevenson: I really feel that me doing that process, and really manning up, but it wasn't about, "I'm going to be tougher now." It was being more compassionate, and sensitive, and patient, allowed for him to live with me. You know? That was the greatest gift, hands down, that I've ever prayed for and receiving, was him coming to live with us. You know, this was starting in seventh grade, and now he's about to graduate high school. Anne Stevenson: Oh my gosh. Shawn Stevenson: And also there was a feeling tone with her, she knew that the best thing was for him to be with me, and it's because of the person that I became, and it was largely for him, you know? And I'm just- it is literally like the greatest gift to be able to wake up and to see him, and to be there for him, and to be that firsthand model for my son. Anne Stevenson: Yeah, love you, Jordan. So next up I want to talk about- and this is going to get a little lighter now, is what advice do you have for couples who work together? Anne Stevenson: What you got to say about that? Shawn Stevenson: Oh man, well we can't say that you separate the two. That's silly, you know? Shawn Stevenson: I think it's understanding that it's really about integration and not separation, you know? Being able to gracefully integrate the work side and the relationship love side. And I think in the beginning, we just- I think we missed out on the respect and appreciation for what the person does. You know? I really didn't know- I knew you were doing all this stuff behind the scenes, you know? Like all these calls you were on, and website stuff, and then for me, you see the end result. Like you see me on stage, or you see the episode or whatever, but not really knowing what goes into it. But you knew from back in the day like how much I invest, but now because you're busy building this, and I'm busy building this, for us to come together, for us to talk, to share what we're up to, and even for us to ask questions, you know? I love when I leave the studio and you're like, "So how was the show?" You know? And it's just like it feels good because you care, you know? And I can talk about it, and you know, share the excitement or whatever. I might have learned myself, or you know, it just feels good. And so that's number one, is taking time to acknowledge the other person, and what they're doing. Number two, this is again with the integration. Guys, listen, you've got to understand it's never good enough, alright? Shawn Stevenson: I'm just going to throw this out here. I'm just going to throw it out here, alright? Even when you think you're on top of your game, you’re not, alright? Shawn Stevenson: You need to step it up, alright? So just- I can't get complacent with you, and it's actually a gift. I might fight it at the time, you know, and thinking like, "Man, I'm killing it. I'm killing it." But I'm so grateful because you keep me checked, you keep me grounded knowing like, "No, there's another level." And you're not intentionally doing this. Anne Stevenson: Yeah, I'm not. Shawn Stevenson: You're just being you, and being the person who I want to hold me accountable, to make me the best me possible. And so you do- like we have plenty of comfort time and love time - lovey, lovey - but you also, you know, with the way that you carry yourself in these moments, like you let me know like I need to get better. Shawn Stevenson: So- and I would imagine there's some of that from your side, too. Anne Stevenson: Yeah. Yeah, I think that when- the respect level, you really hit it because I feel that's one of the biggest conflicts that we had. Because it's like, "You don't know what I've been doing all day," and vice versa. And we do take that for granted, and I think that just to be able to check- the check-in of, "Hey, just what did you do today?" Or getting that run-down. But I feel like in the past, and hopefully getting better, is you are not as intimidated to talk to me because you did not expect me to tell you to-do list. Right? I'm not going to give you a to-do list if you talk to me, so don't be afraid. Shawn Stevenson: That's a perfect segue into another tip here, is understanding how the other person operates, right? So when we would have meetings, and this is even recent by the way. Shawn Stevenson: Still learning and honoring this, but in the meeting, you would like tell- because you're an orchestrated structure person. Shawn Stevenson: So you've got the core thing, and then you've got like a mind map, and all the pieces and steps that need to get done. You're like, "This is beautiful, right?" But then you'll want to give me every single one of these parts, and I'm an execution person. I see the thing and I'm like, "Alright let me go execute, let me do this." But you're like, "Wait, I need to tell you about these other seventeen things," and it would overload me, and we just got to this place where- and of course I started getting like irritable, and you're getting irritable. Shawn Stevenson: "Why won't you listen?" Anne Stevenson: No because I'm like, "If I don't give you the other seventeen, then you're not going to know that it's not complete, so you can go and relax. You cannot relax just yet. You've got seventeen more pieces, and we need to get those done." But patience. I'm really learning that, and also like that respect- to respect you, and what you just did. Like if you've been touring, doing all these events, just remembering that before me trying to overload you and just- basically it's almost vomit and just like all the things that I want to share with you and what you need to do. So I think that's something that I'm learning now more, for sure. Shawn Stevenson: Yeah, and in those moments when I'm feeling like that, and me letting you know, using my words - use your words, Shawn. Be like, "You know what? I'm really- this is- can we just take a break now? This is already a lot, and I'm feeling a little bit overwhelmed." And also, you know, you having the audacity to listen in this moment. Shawn Stevenson: And not be like, "You little-"
Anne Stevenson: No, I would not. Shawn Stevenson: "You'd better step it up." And same thing for you, you know? And me honoring and understanding like, "She needs to- she needs to get some of these out. She needs to get them out of her mind, and out into the world. She needs to say her words." So for me to be patient, and to listen, but also for both of us coming into it understanding like, "You give me a few things, I listen to a few things, and now we can go to work, and we can come back again." But we wouldn't want to come back because of the drama, you know, potentially that can take place. Anne Stevenson: And not throwing in the towel. Shawn Stevenson: Yeah. Yeah, not giving up. Anne Stevenson: Which is pretty much me more than you, because I go to the extreme of being like, "Just forget it. Never mind, do what you're doing." Anne Stevenson: I'm confessing on the show. Shawn Stevenson: You're confessing. I know. Shawn Stevenson: Hail Mary's right here. Shawn Stevenson: Oh wait, before you go to the next question. Anne Stevenson: Okay, go ahead. Shawn Stevenson: Earlier you talked about romance, and kind of seeing this romance thread in me. Speaking of that, I want to ask folks, have you ever had the experience of like sleeping in a romance movie? Listen, no follow me. Follow me. Our sheets, alright? People don't understand, alright? Because you're here now, you get to say this. Those Ettitude sheets. You know, I wrote an international bestselling book on sleep wellness, and so we take it pretty seriously, you know? Like we love our sleep. It's like, "Yes, we're about to get it on. It's about to be-"
Shawn Stevenson: I'm just saying it's a beautiful experience in these sheets. 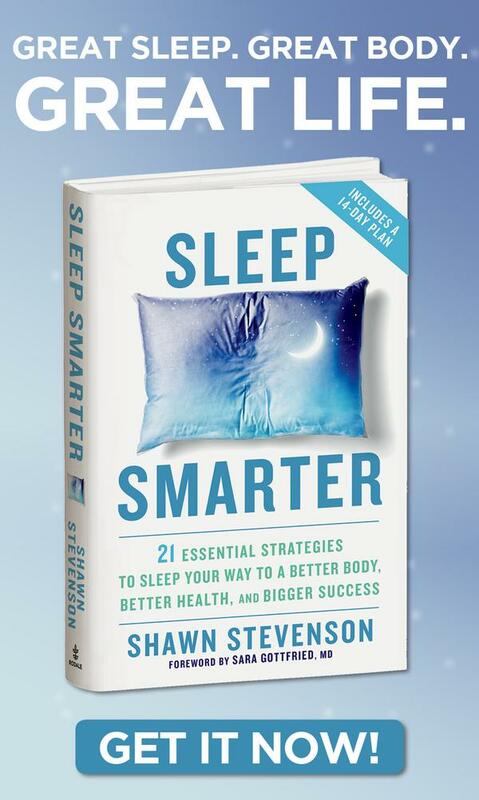 Shawn Stevenson: I'm talking about with the sleep. Shawn Stevenson: Alright? We're about to get it on with the sleep. Shawn Stevenson: You know, whatever. But these sheets it's like literally sleeping in The Notebook movie, right? But the good parts, not when they were separated, but when they get together. Right? In the rain- but it's not wet though in the soggy sheets. Never mind. So it's like sleeping in a romance movie, you know? It feels so good. And so listen, I've talked about Ettitude before on the show, it's been a little bit, but we literally every day- we had to get multiple- like four, you know, so we always are rotating them. Anne Stevenson: Yeah, slipping right off. Shawn Stevenson: It was like sleeping on hay. Like I felt like, "This is what- I might as well be in a barn." Right? This is just how I felt. Or like little sawdust, you know? Just like it didn't feel good on my skin, you know? I'm being- I was like, "Is it that serious, Shawn?" But here's the thing. Number one, these are free from harmful chemicals, irritant, allergens, and they're antimicrobial fibers, alright? Self-deodorizing, they inhibit bacterial growth, because that's a big issue with your bedding. And they're breathable, and moisture wicking. So you don't get over-heated like you do with typical sheets as well, so it leaves your skin feeling cool. Thermoregulating, top quality, and this is bamboo lyocell. This is literally- if we talk about Egyptian cotton. A 300-count, which is these Ettitude sheets, 300-count organic bamboo lyocell is as fine as 1,000-count Egyptian cotton, but only consumes one third of the water to make them, and no harmful chemicals. So it's good for our skin, it's good for our sleep, good for the planet. And by the way guys, you get an exclusive 10% off. They now have a US warehouse. Shawn Stevenson: So you don't have to wait for shipping, because it's an Australia-based company. Shawn Stevenson: Now they've relocated, they've got a warehouse here in the US, so you can get them even faster. Go to www.Ettitude.com/model. That's www.Ettitude.com/model and you get 10% off any and all of the sheets, and you also get 100-night trial with no risk. So sleep on it, think on it, dream on it. If you don't love it, send it back, and they'll give you a full refund, which you're not going to do. You're going to love it. So www.Ettitude.com/model for 10% off. Ettitude sheets, just drop a little- what do you think of them? Anne Stevenson: No, they're amazing. Like we don't use any other sheets at the house. That's pretty much it. I wash- if there's none available, I will wash them before putting any others on. None. We done use them. Shawn Stevenson: Forget about it. Anne Stevenson: So yeah, they're life. Shawn Stevenson: Let's jump back into your questions. Anne Stevenson: Yes. So we're going to move on to mindset. Anne Stevenson: Because obviously mindset being a huge part with our health and up-leveling all areas of our life. A lot of people listening know about your story, your bad situation of all the struggles that you went through, and then having this epiphany moment where the clouds parted and you decided to change your life, everything about you. And I was sitting there at the San Francisco event with ET, and just like listening to everyone, and just all these amazing speakers, and their struggles, and now they are amazing in what they do, and successful. Including you, you were up there. And I wanted to ask you guys, but I didn't get a chance to, and then obviously this is a good opportunity. Is that part, where you decided, just like all the other people you've interviewed on the show, there was a single moment where they switched over or they- not another day. Can you take us through that moment? Because I feel a lot of people, every day, they're wanting better. It's like, "Okay, I'm going to go through it, I'm going to listen, I'm going to eat right." All these things that we have, and then we're not following all the way through. After speaking to all these amazing people, and being with them, some of them are your friends, including yourself. That decision part that you always talk about, I want you to like dissect- let's take a magnifying glass and like really go in there, and let's talk about that. Or if not, like the aftermath of that decision, and the follow through where people are missing. Because why am I not standing up there? Why of 200 people, one of them, why are they not making that true decision so that they can get up there, and inspire others, and like really live their life that they're meant to. There's something that's really missing with us. Shawn Stevenson: Yeah, that's a great question. I think it starts with when you make a decision to change your life, it's coupled with an immediate change in your identity. And that's very difficult because you're changing who you are. Right? So when you decide, you cut away that other thing permanently. You cut away the possibility of anything else except the thing you decided on having, doing, being, whatever the case might be. And for a lot of us, we think we decide, but we're not really deciding. It's more like, "I hope this works," you know? Or, "I'm going to try." And it's like that Yoda, you know? You do or you don't, there is no try. And so when you have the audacity to make a decision, I think it's important to realize what comes along with that. It's sort of like deciding that you're somebody who brushes your teeth or not. It's like that. You either do or you don't, right? I'm somebody who brushes my teeth. Or I'm somebody who- and you kind of fill in the blank. So if you're deciding to really take control of your health and to be a healthy person, you're deciding that, "This is who I'm shifting my identity to, so I'm the type of person who eats healthy food." "I'm the type of person who exercises." "I'm the type of person who gets plenty of rest and recovery." "I'm the type of person-" fill in the blank. So when you decide something, I think it's a good idea to know what it entails. Like with that being said, you're not going to know all the steps, because I definitely didn't know what that meant, but I knew that I was willing. So there's a willingness to change your identity, to take another micro step back. And this is fully in our control; our willingness to do what is necessary. Most of the time, again, when we're just wishing for something or hoping for something, we're still pointing the finger and kind of waiting for some outside force to save us. Anne Stevenson: And with the willingness then resolve that part of our brain which is like, "How am I going to get there?" How did you get these resources like to get from one step to the next step? Like does that- I guess is it attracting? Shawn Stevenson: Yeah, that's a part. So with the willingness it's, "I will figure it out." You know, so that decision, cutting away. For me, it was like come what may, I don't care what happens, I'm going to figure this out. Because obstructions are going to happen absolutely, but just to talk about what you just mentioned when you attract it, when you change your identity, you naturally start to see different things in your environment, you know? It's just even if we're not getting into the science, and quantum physics, and all that stuff, just as a natural change in what you're attuned to, you know? So this concept- we've had Lisa Nichols on the show, for example. Shawn Stevenson: And talking about this universal law of attraction. You know, it's really a little bit deeper than what we see on the surface, you know? Like I'm wishing for this thing, or I'm hoping that I get some money, or a relationship, or whatever. But it's what- it's a change in your brain because what you're focused on expands, you know? The parts of your brain, and particularly cortex, is constantly scanning your environment for whatever it is that you perceive to be as important, which you're holding top of mind. But the issue is you also have the subconscious mind, you have the unconscious mind as well. So it has to be deep enough driven in that belief, or that desire to up-level your life, that you affect all three of those things. So number one, it can be affected through repetition. So when the hard thing happens, you figure it out, you get over it, you build muscle, and you keep doing that. Or it comes through an emotionally charged event. It can really sink deep into your psyche, and all of us know this. We really remember the most amazing moments of our life, and we remember the most terrible moments. Like they're very visceral. Shawn Stevenson: So if you can orchestrate- consciously orchestrate potentially, or get yourself in an environment where something special can happen, that can really change. This is why I encourage people so much to go to live events, but it's like we make all these stories up about why we can't do a thing. And so it's really not that urgent. It's not that important for you to be real about it. And so for me, it was an emotionally charged event. I had really two options that I saw at the time. Either I just give up, and I'm just going to be this person until I die, and I didn't really care necessarily if I lived or died. Or I'm going to be the person that my son needs me to be, that my daughter needs me to be. I need to be that model for them, and do whatever it takes to really step into my greatness. I'm going to be the person that my grandmother knew I would be, and how she would always let me know that I was special, and to really show her that, "Yes, you were right." You know? She was there with tears, you know, at my high school graduation. I was like, "It's so embarrassing, why is this such a big deal?" You know? And when I went to college, you know, same thing. And I'm the first person in my family to graduate from a university, and changing the script. She saw it in me, you know? And so stepping into that. When you make that decision, you need to give it legs, and the more legs that you can give it, the more stable it's going to be. If that makes sense. Shawn Stevenson: So my kids, my grandmother, my potential, my health, my wellness, my desire to live life. You know? Like I was not living, and I just kept stacking it and stacking it. And with that attraction, like you mentioned, the right books started coming around, the right resources. First it was Slim Fast, you know what I'm saying? Commercial hit me up first like, "Just drink one." Anne Stevenson: Don't forget your Subway, too. Shawn Stevenson: Oh, that's when I met you. Shawn Stevenson: I was still doing the healthy- it was that healthy Subway, even though they go get the chicken out. It was like- it looked like a- what part of the chicken is- is this the baseball bat? Because it looks like a little baseball bat in some murky water, you know? And I'd get the whole wheat bread. But there's levels to this, you know? I didn't have- I was doing a lot of things right though, you know? I was getting the whole foods, upgrading the ingredients of things I was doing, but it just was a steady incline because I wanted more, and I tended to attract that. Anne Stevenson: Awesome. Yeah, that really spoke to me. I always wondered that when you would talk about it, and I was like, "No, we need to go deeper." But that really- it makes more sense, and hopefully people are going to take some more, because I did. So next thing I want to talk about is more of the mindset when it comes to social media and we have this idea now, like we can be whatever we want to be, we can do whatever we want to do, and we're receiving so much information coming in. And now more than ever, everybody wants to start their own business, pursue their passion, and all of this, and we are having great examples right now. And then on top of that, everybody's an influencer, and influencing about every single thing. So I want to hear your take on if it's advice or even just like your thoughts on this, because it's getting to be so- it's getting to be so noisy, and now people are losing out on their inspiration, their dream, and going after that. Or following people that are not even about that life, per se. And you've done a really good job in steering clear out of that because you're just being you, you know what I mean? And I love that one post that you did the other day, and just really talking about being 100% authentic to you and just what you do. So I want you to speak a little bit about that. Shawn Stevenson: That's a big question. Sometimes I wonder if we had this kind of access when we were kids, like what would I be? Who would I be? It's such a complex terrain now, and it's just a part of the culture, you know? And so I'm coming into this very much more aware with my youngest son, Braden, and even with Jordan who's now eighteen, like having a progressive on-ramp with him. Like he was probably the last person to get a phone in his class, you know? But I'm not saying it's the right thing, but just having this awareness, you know? And him respecting. And we don't talk about this now, but a lot of times Jordan will be upstairs with us, his room is downstairs at the house, and his phone will be in his room, you know? Shawn Stevenson: Like he's there with us, and it's because of the culture that we've created. So first of all, it's creating a culture with yourself and with your household, and understanding what real life is. You know? Because we're not in 'Ready Player One,' you know what I'm saying? Like you've got to do stuff if you're going to be successful and be happy, because that's fake in a way, like it's a temporary- in many ways it's a romantic idealistic world or strange world where people are putting their highlights, and it's not necessarily what's really happening. You know? And also for you to feel fulfilled, you're going to need to serve. You're going to need to do something to bring value to the world. That's really where you find fulfillment ultimately, and I think everybody at some point is going to come to that place and realize that. And so with social media, I think the most important thing is to be honest. Just be honest, go through your- the people you're following, and just be like, "Does this person make me feel good? Or do they make me feel- am I having negative vibes coming off of this?" You know? And it's okay to unfollow them, you know? Even if it's a friend from work or whatever, you know? Rebecca, you know? Just unfollow her, it's okay. You know? If she takes it personally- first of all, I don't think she's checking for you like that. You know? But if she takes it personally, just- Rebecca's already- she's tripping anyways, so you know, might as well give her a reason. And shout-out to anybody named Rebecca, no disrespect. Shawn Stevenson: It's just the name that popped into my head. There's a Rebecca we love, by the way. Shawn Stevenson: So that's number one, is cleansing your feed, right? Doing a reboot of your feed so that you have the people- and I would consolidate it a little bit. You know? So I'm a very big fan, and so are you, being able to focus on one person and their teaching, you know? Shawn Stevenson: Whether it's their books, their lectures, whatever. Getting the majority of my spiritual food from somebody, and not like twenty-five different people. You know? And I think that that can help you to really immerse and really create more change with that psychology we're talking about, that repetitive, you know? Getting deeper to your subconscious, your unconscious. If you choose somebody to really follow, follow them. You know? So maybe this is the only person that you subscribe to their notifications, you know? When they post, or you know, like you spend more time checking in and following them than other people, if that makes sense. So I think that's important, and also I think that a really good attitude to carry into social media in the first place is one of appreciation, and of respect, and gratitude, because it's a very easy medium to feel jealousy, to feel envy, to feel like you missed out on something, or you're not enough. All these kinds of negative tones because we see somebody else, especially when you feel like, "Oh that could have been me. Or why can't I do that?" And so we even had an example literally today, you know? You let me know somebody that I've been- kind of had on my list to do something with, and I kind of saw like a vision of it like, "Oh this would be awesome." And then I see somebody else had made that connection and they did it, you know, with this person. And you were like, "Bad news, you know? Guess what they did?" And I was like, "No, that's awesome. That's awesome." And I like felt maybe like- immediately my first response was, "That's awesome," and that's when I know I've grown. Because before, it would be like that first- like, "Oh, I should have did that." You know? "I had the idea first," or whatever it is. And then I checked myself like, "No man, this is beautiful. This is about growth, and love, and helping other people. It doesn't have to be through me." You know? And so having that be my first response when I saw it, and then I looked at myself like, "Wait a minute, you're not feeling some kind of way about this?" Like no, I'm actually- like this is really awesome. And then when you brought it to me, you know, that's where I was like, "Am I really about that life?" Because I wanted to shut it down before you even said anything to make me think about it deeper. Anne Stevenson: Yeah, I felt that. Shawn Stevenson: You know? Because it's like that outside- like you have that outside perspective of like, "Well that should have been you." So that's another level where I've got to check myself and do my work, and again have this level of gratitude and appreciation and love, you know, when you're approaching your social media. Anne Stevenson: Yeah, I was hoping you would talk about that. I love that. And actually this goes into the next question that's a subpar of my set, when we talk about all of this stuff with social media, this also leads to confidence. And you're one of- actually the most confident person I know, and it's not in a bragging way, or where you're tooting your own horn, or making somebody feel like uncomfortable about it. It's very healthy, and I'm just so glad that our sons get to experience that, and pick up from that in however they can. How did that actually develop if you can remember? Or any tips on people like us out here on developing a good- because we are living in a time where the one time you try and toot your own horn, somebody wants to quickly shut you down or, "Why are you talking about yourself?" And you've even experienced that in your life a time or ten where somebody's like, "Oh Shawn thinks he's all that because of A, B, and C," and how did that affect- because that obviously did not affect you much to the point where you did not follow through with your goals, and your dreams, and stuff. Shawn Stevenson: Yeah, that's such a good question, and that example you're talking about, you've got to ask yourself. I mean even when these things happen, it's just an opportunity to ask, but also don't be drunk off of people's praise, and also don't be drunk off of their negativity. It's easy to get wrapped up. I'm very much now willing to accept and receive the good messages, the compliments, the feedback, you know? And also the whatever seemingly negative thing, like to ask the question, "Is this true?" And so in that instance, you were talking about this ten, twelve years ago, or whatever it was. You know, I'm doing- I knew that I wanted to help people, I was about service, and I remember at that time- because it really questioned it, you know? Anne Stevenson: And can I be honest? I felt that- I was like, "Oh don't talk about yourself. You shouldn't. I mean, I think you're great, but don't do it. Like just stay a little bit- reel it back in." Like I felt you shouldn't, just to protect you in a sense, which was- I'm glad you never listened to me, too. Shawn Stevenson: So perfect. It's so perfect because I was sharing my story. Shawn Stevenson: I was sharing my perspective, and that's what most people are afraid to do, and I was afraid to do it. You know? No, no let me take that back. Prior to going through this stuff, I was afraid to open up and share, but after I got well, I wanted to tell everybody. So part of that confidence comes from me being told I have an incurable condition, to being a radically healthy individual, right? And knowing that this is possible. I want people to know, right? And so as I opened up and started to share my story, I didn't think anything of it. You know? I was just like- it was different because I am talking about myself, but I'm like, "Okay well I need to share this because people need to know." And so yeah, I got face-to-face with that to really check myself and to see should I be using myself as an example? Right? Shawn Stevenson: And so I would even share with people who were working with us at the time like, "I want to see you up there. I want to see you on the stage in front of people sharing your story. You know? I want you to do that." But everybody was just kind of pushing me like, "No. No, we're good. You know? Like you just do it." But then somebody's back here, this little creeper getting in and like whispering in their ear. "Why is Shawn talking about himself? Why is Shawn up there teaching everybody? Why not you?" You know? And ultimately they had a decision to make to understand like, "Why is Shawn doing this?" And for me it was literally all- and this was at that time in my life when it was all about everybody else. And I kind of reluctantly jumped up and stood in front of everybody to say it, because I wanted to tell people like one-on-one, like how powerful they are, and now like I'm putting myself out there. When you do that, you've got to understand, you might get a couple arrows, right? But you're Ace Ventura, you know what I'm saying? You remember the scene he got hit with the arrows? I don't know, somebody is going to get this, you know? And you're going to be alright. Alright? And so but developing this- I wouldn't have known this confidence thing. It was even like recently when you said it to me. Shawn Stevenson: I thought nothing of it. I never thought about it, and I think that the biggest catalyst in carrying that sense of confidence and sense of self was when I fully gave myself permission to be me, and I knew that no matter what I do, nobody is going to be me. I'm being fully authentically myself, and people are going- like this is what you're going to get presented with. So there's no need for me to hide from it, you know? Especially if you don't have anything to hide, it's so freeing, you know? If you don't have to like try to prove yourself, I got over that of like, "I need to prove myself to such-and-such." I've been in some situations, like E, you know? ET, he's the number one speaker in the world. He's number one by far. For me to be put on the stage with him, like part of the family, like I could easily be questioning myself, you know? And questioning my confidence. But I literally not once did that. I knew that they chose me, they reached out to me because of who I am. Just be who you are. Just continue to be who you are, and give from your heart the way that you've been doing, and all is well. The mission is going to be in front of you, just keep moving forward. So that's the two parts. Number one is having a radical situation happen where I was brought from this sense of disbelief to belief, so I had this sense of power that people can sense. And the second thing was giving myself permission to be fully me. I think that great confidence comes from that, in being authentically yourself. Anne Stevenson: That's so good. So good, oh my goodness. I'm going to have to listen to this again so I can take my own notes. So one of the things I wanted to talk about which- well you did kind of cover that, so I won't go into that, is your sense of- and my mom- this is my mom's question. She was like, "I want to understand more-" and she's been a meditator her whole life. She's like, "But I've never met someone who has such a calm sense of self." Like you're so calm in even very crazy situations, and we've been in highly stressful situations, and you actually also make me feel, "It's okay. Let me calm down," because I'm quick to freak out about it, but you've- just your energy of just being really calm and collected makes me feel more confident like, "We're going to be alright." Where does that come from? Shawn Stevenson: It comes from your mom. She's the- with her teaching me meditation in the way that she did, and the love that she expressed, what I saw in her is a sense of presence and just like such elegance, and grace, and beauty. I wanted some of that to rub off on me too, you know, looking back on it. Shawn Stevenson: But it was through that practice, you know? Because again, I was very irritable, like you know, just kind of impatient person, and it was that practice, and it was healing. It's so funny because that meditation that really stuck with me- because she taught in that initial class was seven different meditations. But the one that stuck with me was the Heart Chakra, right? Shawn Stevenson: The Anahata meditation, and it's about attention need, that's what blocks it, right? According to this system, you know? Shawn Stevenson: Or it's about love, right? And I definitely- this was blocked for me for sure, because of that attention need. Like I literally- I lost everything, you know? I didn't have a mom checking on me when I was down and out and I didn't have my health. As a matter of fact, my mom stole from me, you know? And just disappeared. And so I did- and the small attention that I was getting from girls, like it was toxic. And also from my grandmother, I didn't want it because I felt like embarrassed, you know? So it's not that I didn't have any attention, it's just not- it wasn't healthy the way that I was responding to it. So anyways, I realized that the attention that I really needed was from me, you know? To give myself the attention, to love myself, to give myself permission to be, to do this practice, and potentially get better for other people. You know? It shifted this attention need off of me onto love, and other people, and you were a big expression of my love, and all the people that I wanted to serve, you know? And so it really came from her, you know? Just this time of being by myself, being present, not being- because a lot of us are afraid to be by ourselves, you know? And I think that- I came to understand that I'm not really by myself. You know? I'm not really alone, and that even as I'm meditating I'm bringing- I'm changing the energy on the planet in my own little way, you know? So it's just like it became something that- and so in those situations like you're talking about, and there's been many, I literally- thanks to what she taught me, and me waking up and realizing, "I'm not just this, and I can have a balanced perspective." Even when a negative thing happens- of course I get whatever in my feelings sometimes, but quickly like I realize, "Okay, this is what this is for. This is actually a blessing. This is a gift here somewhere." Or you know, whatever this particular thing going on, the intensity of the situation, this too shall pass. Like all these little things, I am it. I am it because I did the work, and all of us can do this, you know? It's just this is why it's called a practice. You know, a meditation practice. And I took that what I was taught sitting on the floor, bringing it to life, and making it a practice in the moment, because it's very difficult to retain a sense of compassion when somebody is flipping out at the kid's birthday party. You know what I'm saying? Trying to smack a ball out your hand or whatever. And just these crazy things that might take place, and I'm so grateful. If it wasn't for her, I wouldn't be who I am. Anne Stevenson: Yeah when she said that, it quickly reminded me- because again, it's great speaking to the different people in our life, because I do take that for granted, because I'm around you a lot, and it quickly reminded me when we had the interview at Ed Mylett's. And that's when he was saying how you just- you just had this sense of calmness that you made him calm and more collected. And I was like, "Oh wait yeah, he does that for me." And with everybody around you, you just automatically make somebody like, "Okay, just chill out. Just bring it down two notches." So it's really awesome. Shout-out to Mom. 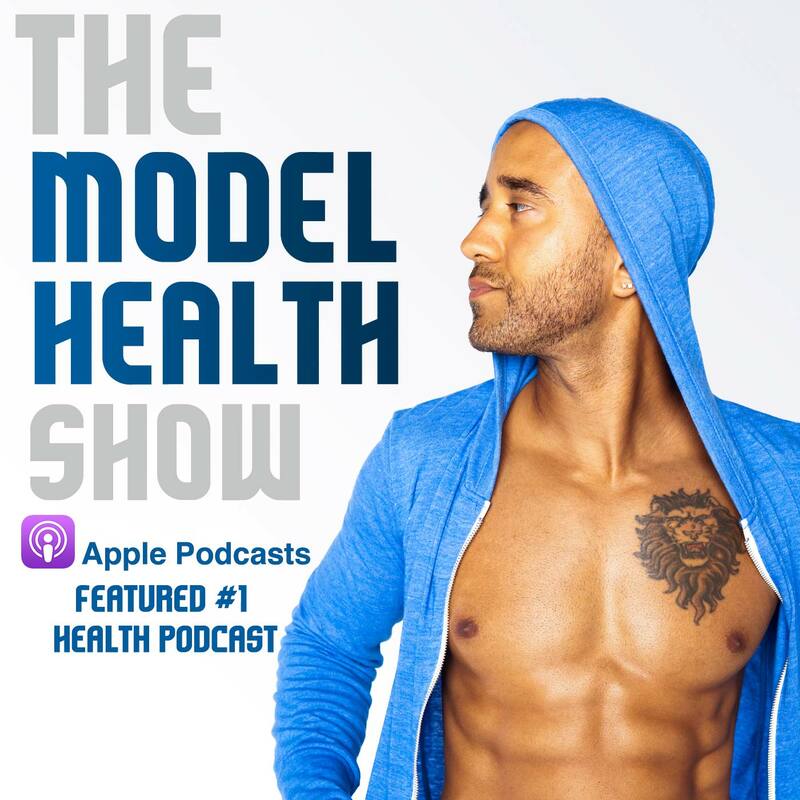 So I want to move to the last leg, which is just The Model Health Show, and this question actually- shout-out to [Inaudible 01:30:28], I know she's going to be listening. And this question was about The Model Health Show, which was how has your vision of the show evolved since episode one to episode 307 at this point. Probably it's 312 when they listen. Shawn Stevenson: This is such a good question, you know? I've got to be real. Like when we first started this, my vision was this. It was bigger than this. Right out of the gate I had the grandiose vision of like I knew how important this was, I knew that this could be the biggest show in the world, you know? In the US, we think it's the world, but it has to be number one in the US. Shawn Stevenson: You know? And shout-out to everybody listening in other countries right now. But I just knew, because of the intent, because of how much I cared, and because of what I was willing to put into it, and I knew that people could click play on an episode and have their life transformed. You know, if somebody is struggling with type II diabetes, we have a master class on that. There's no way they can not click play, listen to that episode, and not walk away feeling empowered. Understanding exactly how to reverse engineer this condition. How did it happen? This is not something typically you could sit down with your physician and they're going to walk you through it. This is what I was doing on a daily basis in my office, was walking people through the illness so they understand it, and immediately it takes away the mystery and the fear once you understand what everything is. And so having that as a template, and- but it didn't start right off the bat having the greatest guests on the show as well. You know, and my show is kind of unique because I do these master classes myself, and then we do about 60% or 70% interviews with the top people in the world in their respective fields. Right out of the gate, at the time back before this, I mean years before the show even started, I would listen to lectures from Dr. Daniel Goman, you know? It transformed my life listening to him speak about social intelligence and emotional intelligence. He literally wrote the book on it. I didn't have him as my first guest. My first guest was a bronze medal winner- not even the gold. She won bronze in a rare synchronized swimming- I didn't even know that was a thing. But she had a story to tell, and it was a great episode. This was very, very early on, and from there it just continued. Like I just took those steps, you know? It was like proximity equals power, right? Proximity equals power. So getting started, knowing the intention, knowing the vision, and continuing to walk towards that. That's really the key. No matter what was going on in my life, and you know like a lot of things have happened, amazing things and also some really tough things, I showed up, I prepared, and I executed to give the very best that I had to offer at that time to help people. You know? To give them the definitive guide on whatever that is. And so yeah, fortunately you know, I got to work some kinks out prior to starting The Model Health Show, being kind of the face of a different podcast for about a year and a half. And you know, understanding the behind-the-scenes pieces a little bit, and really focusing in on what my gift is. So my vision is grand, you know? To say- to have a show that's actually focused on health and fitness, like literally focused on true health and wellness, to be in the top- well I think we've been in the top sixty of all of the over half million podcasts. You know, like that's very rare, and my vision is bigger than that. You know, to make health popular, and to make it fun, and to make it engaging, and to make it something that you feel like, "Oh yeah, like this feels good," you know, that's really where it starts. Anne Stevenson: Yeah, that's awesome. And which actually leads me to the next question, which is after all these episodes, all the grind and everything, what's been your greatest lesson through this entire journey? And obviously it doesn't sound like you're done, because this is just the beginning, by the way, as we both know. So far, what's been your greatest lesson through all of this? Shawn Stevenson: Wow, that's a tough question, the greatest lesson. There's been so many. Two things jump to mind really quick. One of them is to never be content, you know? There's always another level, like you teach me anyways. Shawn Stevenson: But to continue to strive towards greatness. There have been some great- absolutely great masterpieces, things created, and to not settle, you know? But with that, you have to be careful. It's a thin line between content and joyous, I guess. You know? To be grateful, right? So I'm grateful, but I'm not done, I'm not content. So that's one, and also I would say that probably a great lesson from just going through this, and the grind behind-the-scenes, is to maintain my standards, you know? To really- again, what obstruction might show up in my way, I have to have the audacity to maintain my high level of standard because this isn't just about me, you know? This is about millions of people potentially, you know? And I take that very seriously. I take that- because I care, and that's that kind of secret ingredient that anybody can have access to. You can be greater in whatever field or work you're doing, if you just bring that vitamin C, A, Re. You bring that Care Bear to it, you know, like you can up-level your- not just your revenue and that kind of thing, but also your impact, you know? You can make a permanent impact on somebody. You just had an experience with an inspector for our other house. Shawn Stevenson: You know? And just like he took it so seriously, and he was such a guru with his inspection, you know? It was hours and hours. Like something that could have literally been thirty minutes, he spent three to four hours, you know? Because he cared that much. And it left a permanent implant or imprint on like what it can look like for somebody to be a guru in that field. So that's what the two big things would be, big lessons. Number one, don't be content. Number two is to continue to maintain my standards. Anne Stevenson: As we wrap up, and so many amazing questions and stuff that it's so weird when you think you know someone, you know? So I'm learning a lot. One of the questions that I get asked a lot, and I'm pretty sure you do too, so might as well share it, is a lot of people listening have their goals, and dreams, and things that they want to accomplish, businesses, hobbies, whatever it is, and they feel the significant other is not on board. Or how do you get them on board with your vision? And not just significant other, your family member, or your friends, or whatever it is, because you've gone through this, and so many other people are, and have all these amazing ideas, and things to share with the world, but they just feel nobody's with them. Anything to take away for them? Shawn Stevenson: Yeah, you know we directly had this- this is our thing, but it wasn't even true, the story I was telling myself. You know, that you weren't with me. It's just you had your own ambitions, and your own vision of reality and blueprint for what things you wanted in your life. Anne Stevenson: But what if I did? What if I'm like, "No, this is-"
Shawn Stevenson: Oh yeah, we have that too, you know? And for both of those, the number one thing is you being true to yourself, and being- like you show it. It's much more with your actions than with your words, and telling people what you're aiming to do. Give them some proof. Give proof of concept, you know? So don't just be like, "Hey, I want you to get on board with this thing over here though radically unproven. I know this is totally out of left field." And this might have been a number of times that you've done that before, you know? So show with your actions, and not just talk about it. And also this goes back to if I'm communicating with you, to make sure that like- especially in an intimate relationship, making sure that your highest priorities are being met. So for you, certainty is a big priority. I'm over here taking these risks like getting us to go to these events, not really having the finances to even do the stuff we were doing. To get you on board to do those things was a big struggle because I wasn't meeting our certainty needs to where once I did that and shifted focus, like it just hit me like, "Wait a minute. She operates differently, and she wants to feel like things are taken care of." And the crazy thing is once I did that, you became- you're pushing me, you're stretching the boundaries, you're having these bigger visions of things, but we just had to take care of your core need first. For me, my core need is growth, you know? Like I need to grow and so I would do that at the sacrifice of certainty at times, you know? And so but you just had a different language that you were speaking, you know? Your blueprint. It wasn't necessarily different, but there were certain conditions surrounding your decision to grow and to be great that needed to be met, and it's okay. You know, so I think that that's a big thing, is understanding that the way that they are, it's okay. And if you can learn to communicate with them, speak that language. So there's like- what is it? The five love languages is the book? Or four love languages? There's a love language book you can get. Anne Stevenson: Just love languages. Shawn Stevenson: And also the Lovers for Life, is that what it's called? Shawn Stevenson: The Anthony Robbins program, learning about the human needs, you know? So we'll put those in the show notes for you guys. But if that's something- you need to get educated. Because real talk, if it's important to you, you need to study it. You can't just be like, "I want this thing to happen. I hope this happens." Or even asking the question, "How do you do it?" Find out. Like actually do some studying. Because even though you might hear the answer from me- and this is such a big thing because we're talking about other people, you need to get educated. Anne Stevenson: Yeah, I was just thinking about our family, and one fine day, our kids will probably listen to this episode when they're like, "Oh wait, wonder what Dad thought about A, B, and C."
What would you say, like if there are just one or two lessons in life that you would want them to get and know? Like if this was your last day, and there's something that you want to make sure that they really get and to live a fulfilling life, what would that be? Shawn Stevenson: The first thing that comes to mind is to lead with kindness. That's the first thing that really jumped up for me. And this is tough, you know? I'm thinking about talking to my babies, you know? But to lead with kindness and to look for the best in people, you know? Even though sometimes it might not seem like it's there. This does not mean to sacrifice yourself necessarily, but to lead with kindness, and never feel that kindness is a weakness, because that's something that can happen is you feel like somebody's taking your kindness for weakness. This is because they're weak, you know? It's not you. Kindness is the greatest strength really. And so lead with kindness, that's number one. Number two would be- and this is just what's coming up for me, is to at the same time, stand up for yourself. You know? Have the audacity to be you, and know that you are loved. If not from me, there's just so much love that even helped to make you who you are, and just stay true to that because that's what really helped me, was that love from my grandmother, you know? And the more that I embrace who I am, and all the crazy background and the things that I've been through, the greater my life has become, and the more impact that I've had because I can connect with so many people. You know, because I've been there. I'm grateful for that. And the final thing would be- it's a real basic thing, but I think a lot of people don't get this, I know I didn't at first, but your life and your fulfillment and your success is going to be based on you finding a way to be of service. The direct amount of good that's going to come your way is going to come from you finding a way to help others. You know? So when you feel like, you know, "I need to make money," you need to think in terms of, "How can I add more value?" Be valuable, be a valuable person, and add value to other people's lives. That's how you're going to sustain your livelihood, but you're also going to be very, very happy at the end of the day. It might not be easy all the time, but you're going to find joy and you're going to find success. Anne Stevenson: That was so beautiful, thank you for that. Anne Stevenson: I had no idea I was coming up here to cry. Shawn Stevenson: Me neither. Me neither. You're like the Oprah of this stuff. Anne Stevenson: I know, which is- oh my God, I can't. Like listen to this, because my last and final question was actually Oprah, I was thinking of Oprah, and here he goes, you just mentioned her. Which is I love when she asks her interviews this, and I thought this was perfect for you, especially where you are in your life, which is what do you know for sure when all is said and done? Shawn Stevenson: What do I know for sure? There's this strange condition that humans have, this kind of fog in our minds, that we believe that we're separate. We have over eight billion people on this planet who are feeling separate from each other, from the whole, and in reality, like it's a miracle that we are here. These perfect conditions, we're a couple planets from this huge flaming ball of gas spinning around in the middle of this universe, we've got these perfect conditions for us to exist right here right now, and we're all one. We're all connected here. Now I'm not saying this from like an idealistic thing, but literally we are all- we have the same human thread, we have the same genome. Quantum mechanics, we're looking at string theory, we're looking at all of these different things going on behind the scenes that connect all of us. So suffering creates more suffering, you know? It's a thread that all of us feel at some level. So what I know for certain is that all of us, every day, we have the opportunity to up-level the energy on this planet. We have the choice to bring it to it, because there's so much darkness that can be in our minds, but you said earlier asking about the confidence, I decide to bring it to it. I bring the energy to it. I have the opportunity to bring joy, to bring a sense of calm, to bring a sense of happiness, to bring a sense of certainty. I get to choose that. And so what I know for certain is that we all have the ability to bring our very best to the planet and affect everything if we have the courage to do it. Anne Stevenson: Drop the mic. That was amazing. Thank you, babe. Shawn Stevenson: No, thank you. Anne Stevenson: That was amazing, and I mean, you're the model- literally people ask me all the time are you a model? Like literally, you were a model at some [Inaudible 01:47:20] something back in the day. No, I'm just saying- no seriously, this was really awesome and great. I learned so much about you, so many inspiring messages with this episode, I can't wait to review it and just really internalize this. This is going to be one of my favorite- all-time favorites, so thank you, babe. Shawn Stevenson: Oh, thank you. It's mine too because you're here with me, you know? You're my best friend, and everything. You're everything, so thank you for having the audacity to say yes to be the interviewer, because I know this is new for you, you know, getting out of your comfort zone. I think you did a fabulous job, and you look good, too. Awesome. Everybody, thank you so much for tuning into the show today. I hope you got a lot of value out of this. So many great takeaways. Right now, the one that's really top of mind is to bring it to it, you know? You get the opportunity and you have the capacity to bring the energy to the situation, no matter what it might be. We don't have to be stuck in the pity party, or the negativity that might be around you. You get to decide to flip that switch and to be the best version of yourself, whether it needs more light in that situation, whether it needs more understanding and patience, whether it needs more- a sense of certainty. You get to bring it to it. You know, so just if anything today, just remember how powerful you are, alright? We all have our story, but at the end of the day, the pen is in our hands, and we get to decide how the story is going to end. Alright? So with that said, take action, share this out with your friends and family if you think this would be valuable for them. Social media, Facebook, Instagram, Twitter. Of course you can tag me and let everybody know what you thought of the show. I appreciate you so very much. Alright? Take care, have an amazing day, and I'll talk with you soon.